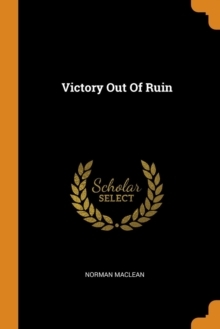 When Norman Maclean sent the manuscript of A River Runs through It to New York publishers, he received a slew of rejections. One editor, so the story goes, replied, "It has trees in it." Forty years later, the title novella is widely recognized as one of the great American tales of the twentieth century, and Maclean as one of the most beloved writers of our time. Maclean's later triumph, Young Men and Fire, has over the decades also established itself as a classic of the American West. And with this twenty-fifth-anniversary edition, a fresh audience will be introduced to Maclean's beautiful prose and understated emotional insights. 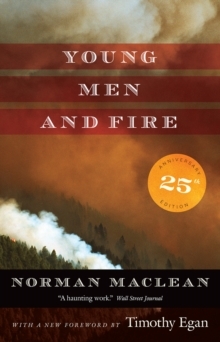 A devastating and lyrical work of nonfiction, Young Men and Fire describes the events of August 5, 1949, when a crew of fifteen of the US Forest Service's elite airborne firefighters, the Smokejumpers, stepped into the sky above a remote forest fire in the Montana wilderness. Two hours after their jump, all but three of the men were dead or mortally burned. Haunted by these deaths for forty years, in his last decades Maclean put together the scattered pieces of the Mann Gulch tragedy in Young Men and Fire, which won the National Book Critics Circle Award. This twenty-fifth-anniversary edition includes a powerful new foreword by Timothy Egan, author of The Big Burn and The Worst Hard Time. 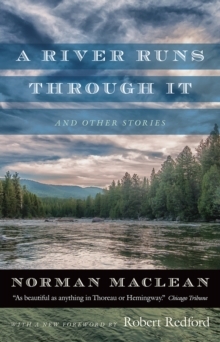 Though he grew up in the first decades of the twentieth century in the western Rockies working summers in logging camps and for the US Forest Service and cultivating a lifelong passion for the dry fly it was only at the age of seventy, as a retired English professor, that Norman Maclean discovered what he was meant to do: write. Moving and profound, Young Men and Fire honors the literary legacy of a man who improbably gave voice to an essential corner of the American soul.